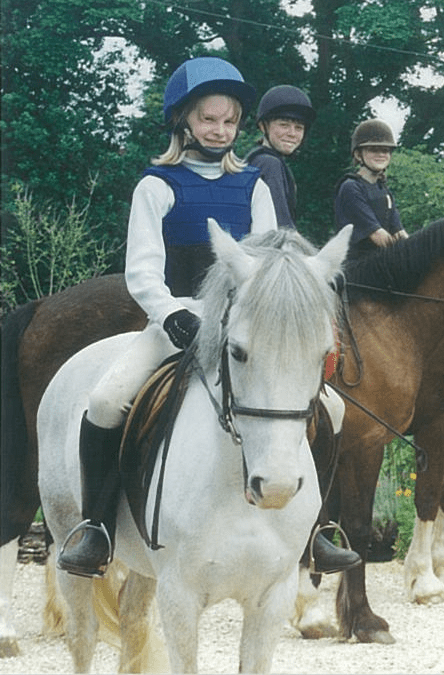 Life-long pony enthusiast and OUP Children’s Books Editorial Assistant Helen Bray joins us to talk about the experience of editing Che Golden’s brand new series for pony-mad children, The Meadow Vale Ponies. If someone had told me when I was a child that a job existed which satisfied both a love of books and a love of horses, I would’ve thought they were thinking of a wild dream they’d had of a library filled with ponies hoof-deep in picture books . . . with themselves as Head Librarian – giving away carrots as bookmarks. And although that actually sounds quite appealing (note the ‘mad’ in ‘pony mad’) there is a real job where you can celebrate a love of stories AND a love of all things equine—it’s MY job! It was Che Golden’s new book Mulberry and the Summer Show that proved this to be true. Che’s new series is called The Meadow Vale Ponies, and stars a girl called Sam and the beautiful, Black-Beauty-esque, mare, Mulberry. 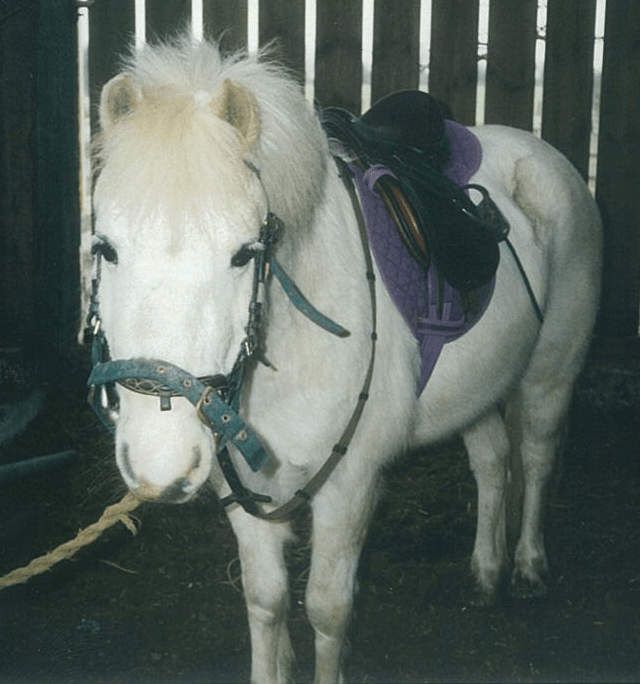 Unfortunately, Mulberry is also the grumpiest little pony at the Meadow Vale Stables. In that way, she reminds me of a pony I used to know. Tinkerbell was almost pure white and barely bigger than a Great Dane. Sounds adorable, right? WRONG. Let’s just say she bore more similarity to Hook than Peter Pan’s Tinkerbell! Sam is quite nervous about learning to ride—ponies are big, powerful animals after all. 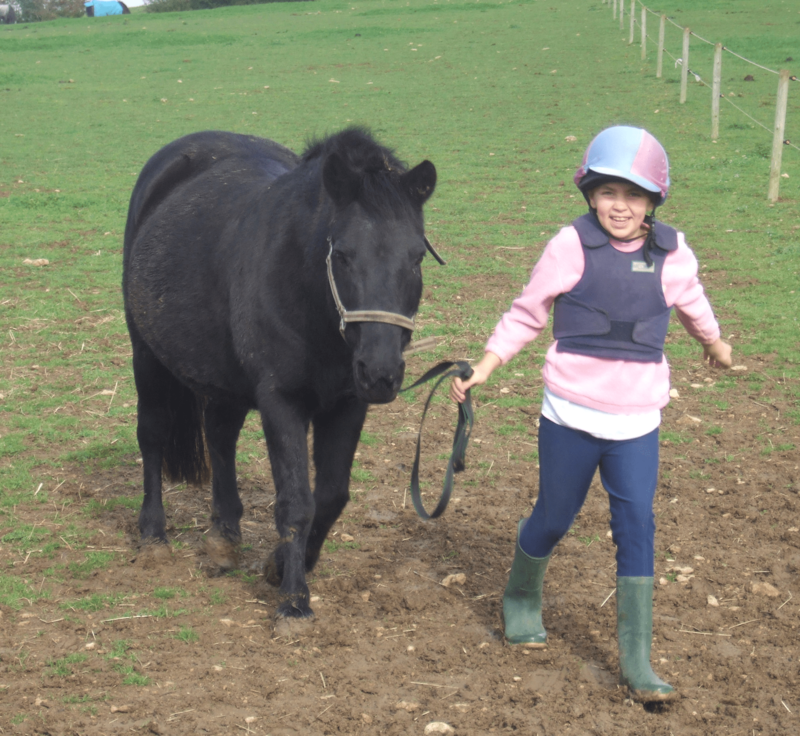 Sam’s nerves get the better of her in her first lesson, when she’s unceremoniously dumped at the feet of her stern riding instructor by an overexcited pony. It’s easy for me to sympathize with poor Sam here, as the first hack I went on with my favourite pony, Cobweb, ended in me being dumped on a grass verge next to a bemused gardener after a hair-(and mane! )raising gallop. As Sam is trying to console herself, she hears a strange little voice saying the most bizarre things . . . but it’s only her and the Shetland ponies in the barn—surely it’s not the little Shetland, Apricot, speaking to her?! Sam can talk to ponies because she listens to what they have to say. And any pony-mad rider will know that there’s a lot of truth in this—horses have as many opinions, likes, and dislikes as their riders. The horse I ride at the moment, Beau, is no exception: every time it rains she tells me she doesn’t like it by galloping around the field until I let her take shelter in her stable; every time I pick out her rear hoofs she tells me she doesn’t like it by farting on my head; and every time we jump she tells me she loves it by charging at the fences and clearing them as if they were the Puissance Wall at Olympia! Thankfully, Beau seems unaware of the tricks that Mulberry delights in playing on Sam, such as the classic hold-your-breath-while-the-girth-is-done-up-so-the-saddle-slips-when-your-rider-tries-to-mount. I did used to ride a horse called Dolly who did exactly that, though. And a pony called Laddie who had a Sliding Stop even more impressive than Mulberry’s. And there was Pepé, whose party trick was trotting backwards . . . quite amazing really, but a bit embarrassing when the rest of the lesson are going the other direction! Holly was perhaps the most terrifying of all—she could do 60 bucks a minute—although that might’ve just been in response to the sparkly hoof polish I insisted on putting on her . . . Despite all of this, for some reason that is surely only madness or love, these mishaps never seem to put us pony-mad riders off. Perhaps it’s because when things go right, it’s the best feeling in the world? Or perhaps it’s because through getting to know each other—however turbulent it might be, you and your pony become the very best of friends? 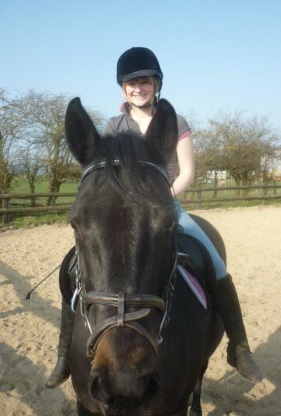 For Sam, it’s because when she rides Mulberry well, it feels like flying. Learning to ride Mulberry teaches Sam that she has to trust her pony, and trust herself. Working on Mulberry and the Summer Show has been such a joy for me. 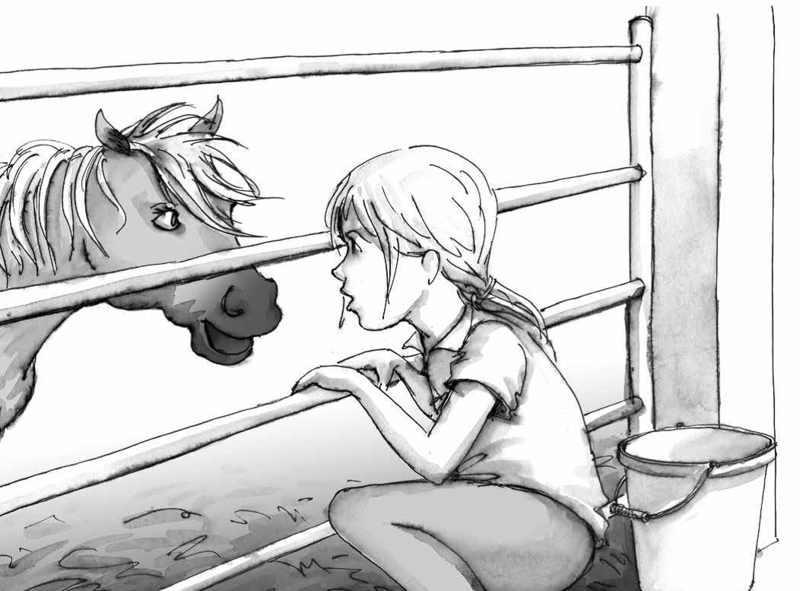 The story is funny and heart-warming, and it’s just so easy to become completely immersed in the world of The Meadow Vale Stables. The realism Che does so well is perhaps unsurprising when you learn that she is as pony-mad as they come, and her lead characters are, in fact, based on her own daughter and the first pony she really loved, Brie. When Che asked her daughter why she insisted on riding Brie even though she kept throwing her off, her response was ‘because I love her!’. And you can’t argue with that now, can you! The first book in The Meadow Vale Ponies series, Mulberry and the Summer Show, is out in July, with further titles in 2014. 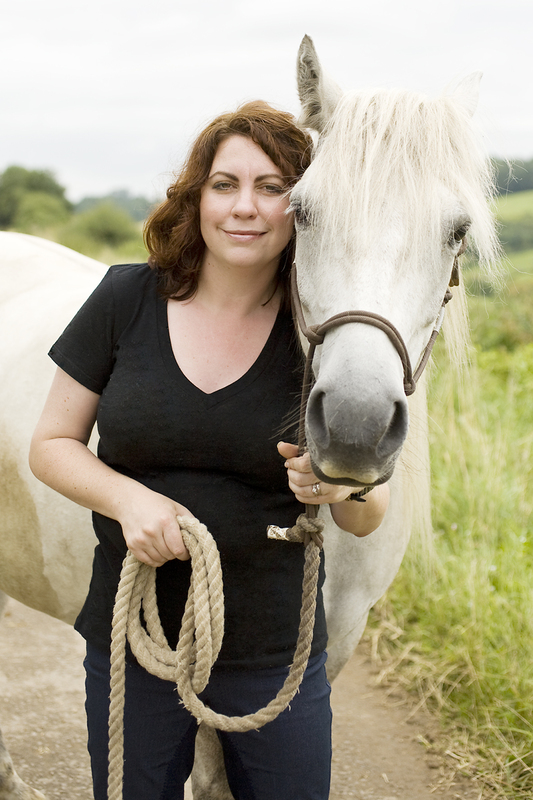 Che Golden is a graduate of the Masters course in Creative Writing for Young People at Bath Spa University and her two great passions are writing and horses. Che’s first horse was Velvet, a huge, black Irish cob who not only taught Che how to ride, but taught her two little girls as well. 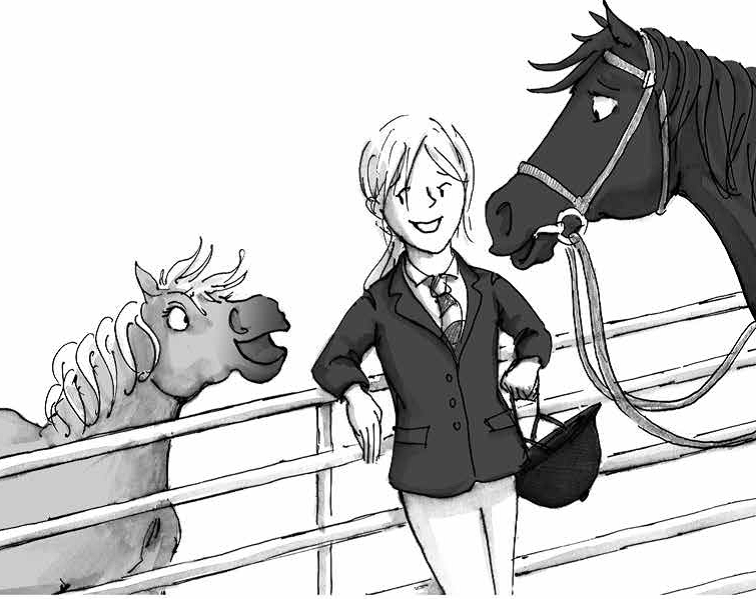 Now, they own Charlie Brown, a rather neurotic New Forest pony, and Robbie, a very laid-back Highland pony.